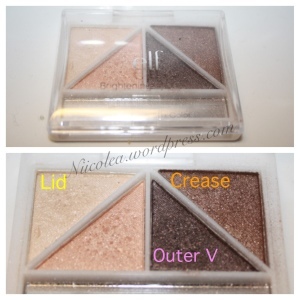 I was requested to do a makeup tutorial using my Elf Brightening Eye Colour quad in Butternut. I really like these quads, they are inexpensive and the colours are surprisingly pigmented. 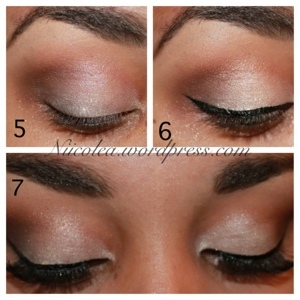 The look I created for this step by step post, is very simple and glam and would be perfect for a night out. 1. Start by applying a primer to your eyelid, as well as a white shimmery cream eyeshadow as a base. 2. 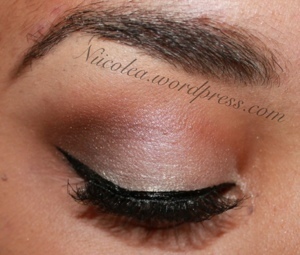 Add a shimmery eyeshadow on top of the base. 3. 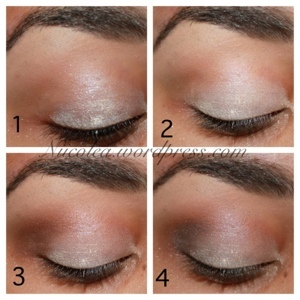 Apply a bronze toned eyeshadow on your outer corner, blend in towards the crease of your eye. 4. Add a deep brown colour to your outer V, to create definition. 6. Apply your eyeliner and wing it out. Hey Nicole – Looks stunning! I have a question? What camera did you use? It looks so refined and the lighting is perfect. Is it a Nikon?